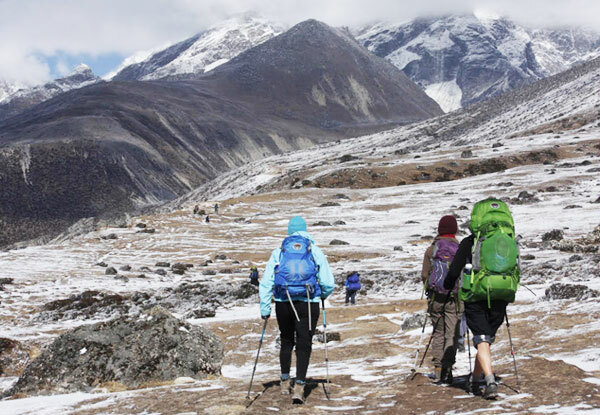 Try your ever-best and tackle Everest Base Camp over 15 action-packed days. Starting in Kathmandu, all your trek-prep will begin there, you'll also do a bit of sightseeing as well. 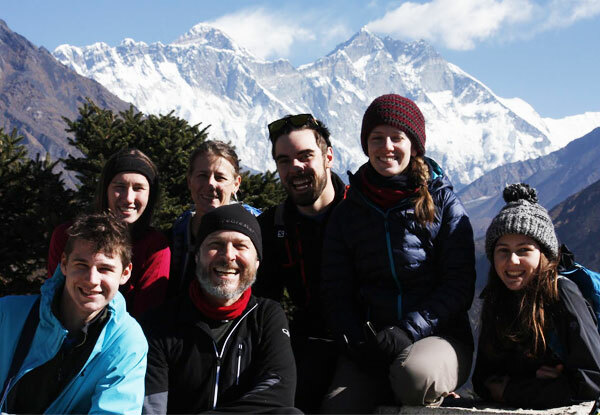 With carefully planned acclimatisation days scattered throughout this tour, you'll be prepared to tackle Everest Base like a true adventurous pro. Not for the faint-hearted, Everest is awaiting your arrival. 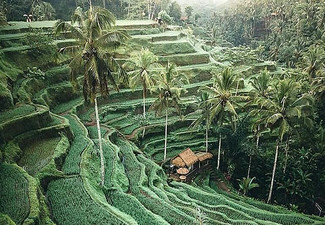 Bookings essential and must be made 30 days before intended departure date or by 31 December 2019. Grab 15-Day Mt Everest Base Camp including accommodation, guide, porter domestic flights and more from Himalayan Recreation Treks and Expedition. This is your arrival day in Kathmandu. Our representative from Himalayan Recreation Treks will be there to greet you & pick you up from Tribhuvan International airport after your landing. You'll be transferred to your hotel where you'll freshen up & take rest. Then, there will be a short briefing session about your trek. Overnight stay at a hotel in Kathmandu. This is your second day in Nepal. Today you'll be sightseeing around the city that includes places like; Kathmandu durbar square, Swayambhunath stupa, Boudhanath stupa, Pashupatinath temple & two nearby cities Bhaktapur & Lalitpur. 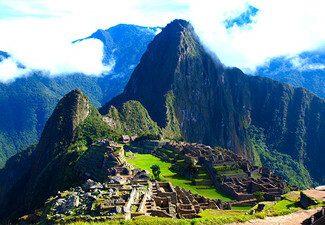 Most of the places you'll be visiting today are enlisted in UNESCO World Heritage site. Swayambhunath stupa is popularly known as Monkey temple whereas, Pashupatinath temple is one of the most prestigious places for Hindus around the World & Boudhanath is one of the largest stupa in Asia. After doing all day tour, you'll get back to your hotel & prepare for your trek. Overnight at hotel in Kathmandu. Today we take an early morning flight to lukla from where our trek begins. Our flight from Kathmandu to Lukla takes around 40-45 minutes. After landing in Lukla, we'll be heading towards Phakding. We start walking down to the slope on the left bank of Dudh Koshi River. On the way, we can take a view of Kusum Kangaru, Mt Kwondge & Mt. Khumbila. We continue our trek as we gradually climb for another 3-4 hours until we reach Phakding. Overnight stay at guest house in Phakding. As we continue our journey today we’ll be moving toward Namche Bazaar from Phakding. This is one of your interesting days by the glimpse view of Mount Everest in the between of trees. Our journey takes us along the banks of Dudh Koshi River & cross the river on high suspension bridges. We pass Chumoa & Monjo villages before reaching Sagarmatha National Park. We pass through the beautiful waterfalls & green forests on the way. At Sagarmatha National Park, we need to go through entrance station where trekking permits are checked & park fees are collected in order to preserve & protect mountain environment. We climb upward on a hilly trial as we continue our journey, finally reach Namche Bazaar which is one of the biggest & hottest places in Everest region. Overnight stay at guest house in Namche Bazaar. Today is the day separated as a rest day or acclimatization day. 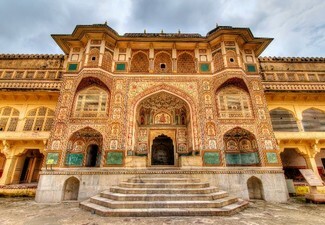 It is recommended by experts to take rest from time to time after trekking for a few days. Still, we hike up to the hill to adjust the environment with our body and breathtaking views of Himalayas afterwards time we'll be spending our day by taking rest. 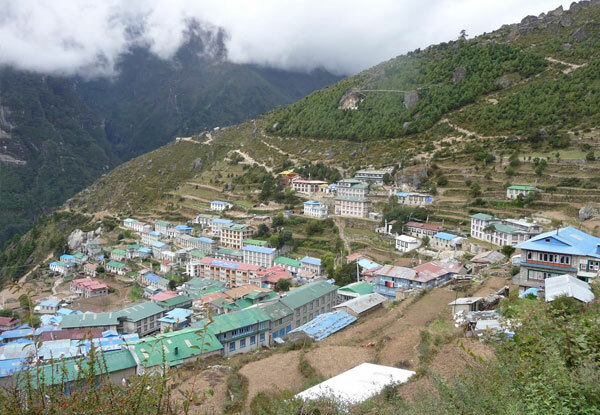 Namche Bazaar is the town filled with ATMs, Internet cafes, Restaurants & colourful markets. You can spend your day enjoying all these activities. Overnight stay at a guesthouse in Namche Bazaar. We continue our trek & head towards Tengboche from Namche bazaar. 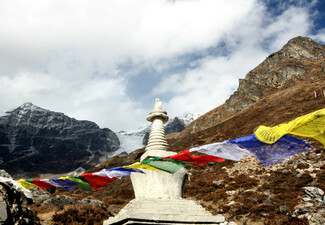 On our way to Namche Bazaar, we get to see the first view of Ama Dablam, Lhotse Shar, Taboche, Kangtega, and Thamserku. Tengboche is famous for its Buddhist monastery which is the biggest and oldest monastery in the Everest region. We have kind of assumption to get a devin power in the monastery so everybody visits there to get up to the Everest. Tengboche is a small beautiful valley from where we get to see the panoramic views of the Himalayas. After 5-6 hours of walk, we reach Tengboche where we'll be spending our night. Following our path, today we move toward Dingboche. Our uphill trek continues & we pass through several rhododendron forests on the way. Before Dingboche, we come across another small beautiful valley called Pangboche where a religious place "Pangboche Gompa" exists. On our way, we can enjoy views of Mt. Everest, Lhotse, and Ama Dablam. Before reaching Dingboche, we walk through beautiful Imja valley & Lobuche river. Overnight stay at a guesthouse in Dingboche. We will not make any progress in our journey today. We'll have another acclimatization day in Dingboche. Which is so useful to success the trek, we can explore other areas of Dingboche or take full day rest. It is necessary & recommended to take rest before going up to the higher altitude. We can climb a ridge located just behind the village to get an excellent view of the Himalayas or we can trek around the area to adjust ourselves to the environment. Overnight stay at guest house in Dingboche. Today we continue our journey & move toward Lobuche. As soon as we start our journey today we get to see the great views of Himalayas. After trekking for few hours, we come across a small valley called Dulgha before reaching Lobuche. Then, we continue our trail along the moraine of the Khumbu Glacier where the top of the ridge is filled with prayer flags and stones which are memorial shrines for climbers who lost their lives on Mt. Everest. On the way, we find ourselves around several great peaks including Khumbutse, Lingtren, Pumori and Mahalangur Himal. We finally reach Lobuche after climbing for a few more hours. Overnight stay at guest house in Lobuche. Today is the day we'll be reaching our ultimate destination Everest Base Camp. We walk along the Khumbu Glacier & up to the Everest base camp at 5364m. The view of the Khumbu Icefall from Base Camp is stunning. The Everest base camp is amazingly beautiful & We can enjoy amazing views of Nuptse, Khumbuste and Pumori mountains from the base camp. 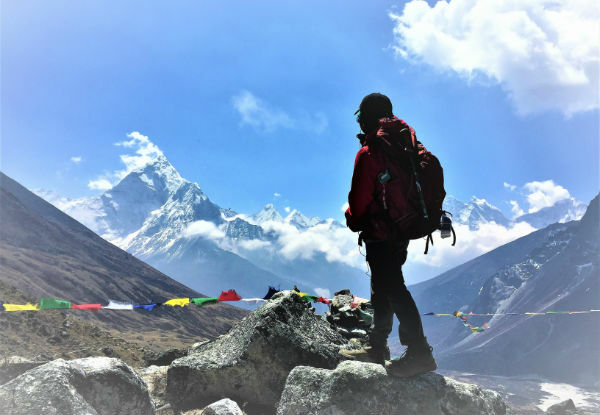 We spend some time at Everest base camp to enjoy the beautiful scenery it has to offer. After achieving your adventure dream at EBC, We return back to Gorak Shep for sleep. 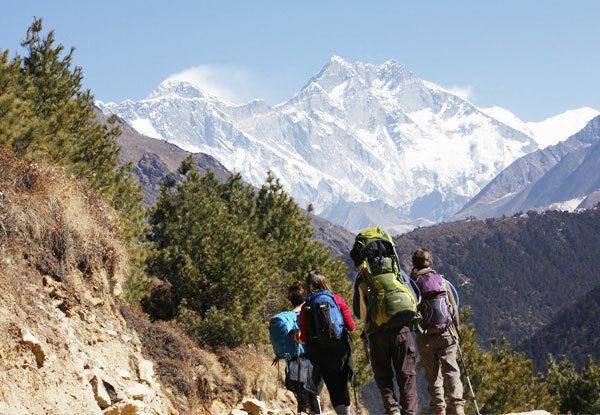 Today we'll be going to Kala Pathhar which is the highest point from where we can view World Tallest Mountain Mount. Everest. We'll start our journey early in the morning before dawn so that we won't miss the first sunrise from top of the world. We can have the breathtaking & panoramic view of Mount Everest surrounding by other various peaks from Kala Patthar. Today is the day you'd probably cherish for your entire life. After spending some sole time in Kala Patthar enjoying all the majestic sceneries, we'll return back to the hotel for the breakfast. After Breakfast, we start to get down to Pheriche with adventure memories. Where you will have warmer & comfortable night. Overnight stay at the guesthouse in Pheriche. Today is the day we get back to Namche bazaar. We go through a lot of up & down way. On the way again we can enjoy the views of various peaks. As we walk down the trail, the trail descends straight up towards Pungki Thanka & we walk through another forest before reaching Namche Bazaar. Overnight stay at a guesthouse in Namche Bazaar. Today is the last day of our trek as we move toward our original starting point Lukla. There will mostly be downhill trek today & we walk on a trail along the Dudhkoshi River & we pass by several monasteries & villages before reaching Lukla. Once we reach Lukla, the rest of the day will be free for us. We can take rest or enjoy other activities in our free time in Lukla. Overnight stay at a guesthouse in Lukla. After having a long journey in the Himalayas, today we'll get back to the city. We'll have an early morning flight to Kathmandu of around 40-45 minutes. As this will be your last day in Nepal, upon reaching in Kathmandu you can take rest or explore the city if you want to. There will be farewell dinner for you tonight organized by Himalayan Recreation Treks. Overnight stay at Hotel in Kathmandu. Your trip to Nepal concludes today. A representative of Himalayan Recreation Treks will drop you off at Tribhuvan International Airport before 3 hours of your scheduled flight. Bookings essential and must be made 30 days before intended departure date or by 31 December 2019. Valid for stays up until the 31 December 2020. Subject to availability. Must be used in 1 visit. Cannot combine coupons to lengthen stay. Valid for departure date as indicated in the deal only. Deal valid for one person on a twin share basis. Single supplement is US$300, payable direct. 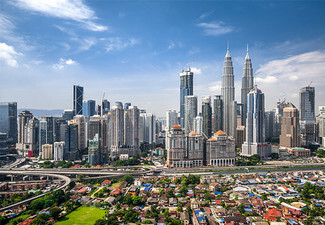 Includes: pickup and drop off at airport by private car, accommodation, domestic flights, sightseeing tour, government licence holder guide, drinks, accommodation, equipment, transportation and local tax for guides and porters, transportation charges, TIMS card, medical kit, t-shirt and sunhat, travel and rescue arrangements, trekking permits, all govt paperwork, VAT, taxes and service charges, traditional Nepali cultural farewell dinner. Does not include travel insurance, visas, tips, lunch and dinner in Kathmandu or international flights. Food is not included unless stipulated on coupon. Reasonable health, fitness and ability are required for the trek - contact merchant direct if unsure. Your passport must be valid for at least 6 months beyond your intended stay. 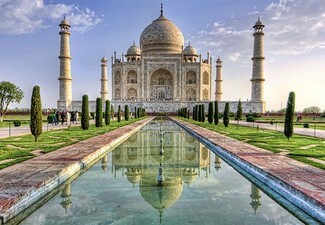 Visas are the responsibility of the traveller. Value of deal is based on current rates, which are subject to change. Refund available from GrabOne within 48 hours of purchase if specific dates are not available. No cash back. Not to be used with other offers.